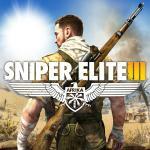 Sniper Elite III turned out to be a great new edition to consoles. Set in northern Africa, you are an elite US Sniper following a trail of information leading you to find and eliminate a secret weapon that the Nazis are developing. While it is a WWII combat game the pace is decidedly different from others like the Call of Duty, Battlefield, or Medal of Honor series. Careful strategy and preparation are key to success rather than a run and gun style which makes you an easy target. The campaign gives you a greater appreciation for surveying the area before making a move and this helps out immensely with working through the levels. Levels tend to be large which is a plus when you're playing as a sniper. While you could go in guns blazing you wouldn't last long as you alert all of the enemies in the area to your presence. Survey the area with your binoculars and tag them instead. A marker will remain over them letting you do a quick check for their location as you creep around in the shadows. Each level will have you surveying the area, tagging targets then looking for the optimal place to take them out. Scattered around are items and situations that create noise, (backfiring trucks, power generators, airplanes flying overhead...), if you wait for the right moment you can take down an enemy while the sound masks your shot. With the large maps you'll really be able to test your sniper skills. The long shots can be really tricky but satisfying. Line up your target...focus...time slows down...then let your bullet fly. If you've gotten off a good shot the game will switch to a "bullet time" mode letting you see a slow motion vignette of your bullet traveling to your target then showing the gruesome devastation to the internal bits of your victim. While over the top, these little scenes are a guilty pleasure to see. They do get repetitive after a while and you do have the option of skipping the scene or turning them off in the options menu but they do add a signature touch to the series. Additional objectives are added as you progress through the levels allowing you to take out additional special targets or perform other disruptive actions along the way. While there are only 8 levels in the game, each one is a sprawling affair which will take time to work your way through. Be prepared to spend a lot of time working through each. While the pacing overall is slower it is satisfying. Every once in a while, difficulty spikes will occur causing you to respawn over and over. While there aren't many points like this it does get a little frustrating at times before making that breakthrough. 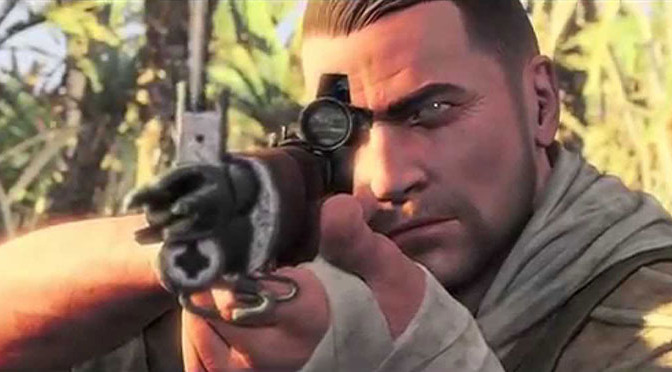 Sniper Elite 3 has both Co-op and Multiplayer modes. Co-op can be played online in a multiplayer setting against waves of enemies while one player takes the role of sniper and the other, armed with an assault rifle acts as recon/spotter. Multiplayer brings familiar team deathmatch and free-for-all play. Jumping online with strangers can be a frustrating affair. Because everyone is a sniper, it becomes a major camp-fest. You spend your time creeping around trying to find a vantage point only to be taken down without a clue as to where the shot came from. Playing matches with a group of friends in a private lobby is where this game shines though. Death can come from any direction but with your private party it's usually followed up with a laugh from a friend who sent that bullet in your direction. Overall, this game is a nice addition to your military shooter genre. With good visuals, unique features like the sniper focus slow-mo and bullet kill cam it sets itself apart. Slower pace may not be for everyone though. Stealth and patience is the way this was meant to be played. A few areas of increased difficulty can get frustrating but these moments were few and far between. The campaign story is thin but not really necessary as you never forget that you are a lone operative seeking to single-handedly thwart the Nazi threat. I really enjoy this game , once the ghost wars are done I’m getting back into Sniper III . I’m going to start playing this more on a Friday with friends it’s a blast .